Europa Cinemas Network Conference gathers once every two years in November over 500 professionnals (network exhibitors, distributors, sales agents and representatives from cultural and political institutions) coming from more than 30 countries to discuss about film circulation and audience development in film theatres . The conference aims to be an opportunity to discuss and debate the bigger picture for cinema, in the context of a changing world. It also offers opportunities to share fresh thinking and practical ideas, emerging within the network and beyond. The aim is for a dynamic, participatory conference, where delegates will leave with a common sense of purpose and direction, in order to turn that momentum into practical action. The next Conference will take place in Lisbon, 21-24 November 2019. 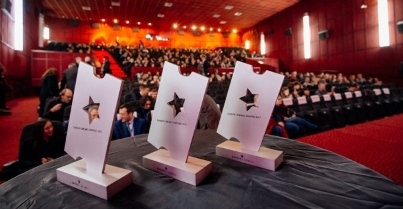 The 20th Europa Cinemas Network Conference took place in Bucharest from 24 to 26 November 2017. The Conference agreed that the cinema experience remains essential to the business and culture of European film despite a decade of disruptive change. That position has arguably even strengthened. The participants agreed that however successful network cinemas were in creating a better environment, the on-going appeal and quality of films were the most important ingredient for a successful business. This Conference focused on the next stage of evolution for cinemas and for the cinema experience – a detailed look at the core social, cultural and economic foundations for future growth, in terms of innovation but also at how to build on the underlying and unchanging realities for the theatrical sector and the broader film ecosystem. Celebrating its 25th Anniversary this year, the 20th Network Conference, inaugurated by Lucia Recalde (Head of Unit Creative Europe / MEDIA, European Commission) and Cristian Mungiu (Director, Exhibitor & Distributor, Romania), concluded three days of debates and workshops successfully in an atmosphere of solidarity among the more than 500 delegates and a determination to continue the remarkable rise in investment across the sector and to search for further innovation. 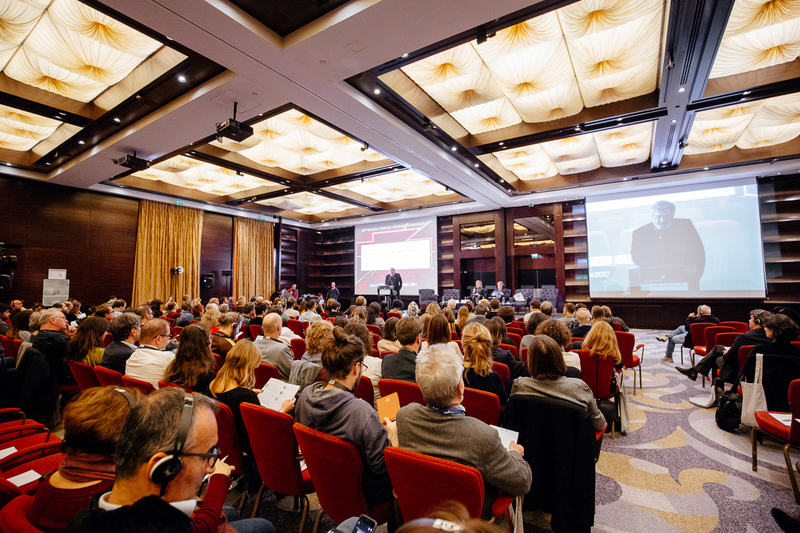 Nearly 500 delegates from Europe and beyond attended the 19th Europa Cinemas Conference held in Prague from Friday 27th to Sunday 29th November 2015. Participating speakers included Lucia Recalde Langarica (Head of the MEDIA Unit, European Commission), directors Cristian Mungiu, Bohdan Slama and Laurent Cantet; Mirsad Purivatra (Director of Sarajevo Film Festival), Christian Bräuer (CEO Yorck Kino Gruppe, Germany), Ivo Andrle (Distributor/Exhibitor, Kino Aero, Czech Republic), Nina Pece (Exhibitor, Kinodvor, Slovenia), Clare Binns (Director of Programming and Acquisitions, Picturehouse Cinemas UK), Susan Wendt (Head of Sales, Trustnordisk, Denmark), Brian Newman (Sub-Genre, USA) and Russell Collins (Michigan Theatres and Founder and Head of Arthouse Convergence USA). The conference debated the role of the cinema in a changing environment and showcased dynamic methods of communication to build new audiences and renew existing relationships with the public. The idea of the cinema as a key audience facing brand for films across platforms and the development of cinema going as a brand in itself was explored – a unique place to see film, a commitment to quality content, a trusted curatorial voice, and a place to encourage a sense of local community, both on and offline. The consensus was that there is no demand for the diversity of films if the demand is not there. With the right investment in place, cinemas can play a key role in driving audience development for diverse films but also clearly go beyond just being a platform for creating demand. Other questions raised in the conference included whether cinemas could be more accessible and open to audience participation in developing audiences. Several innovative approaches were presented from dynamic membership schemes to crowd-funding campaigns to help achieve this. Potential relationships for cinema with new platforms were assessed, and cinemas that have practical experiences of online platforms shared these as opportunities to extend their offer rather than as challenges.